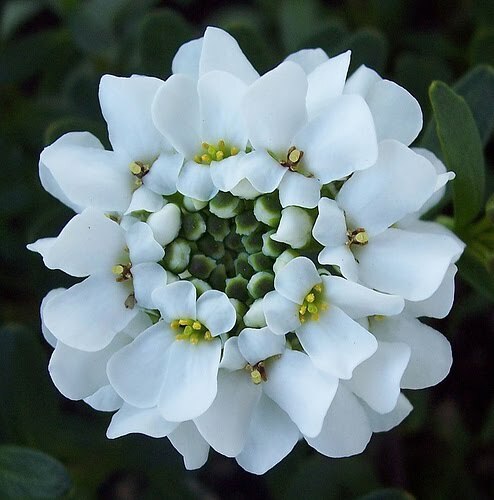 Evergreen candytuft is a pernnial plant with a moderate growth rate and trailing form. Growing 12 inches high and 3 to 4 feet wide, candytuft prouduces 2-inch wide clusters of fluffy, white flowers that, beginning in spring, light up the garden. Another classic spring creeper is Carolina jasmine. Growing 20 to 30 feet long, Carolina jasmine creates a commanding trailing perennial to grow over a pergola or backyard trellis. The bright, yellow trumpet-shaped flowers and dark green foliage is just lovely.